Saving money is a healthy habit, but it's possible to take things too far. You’ve carefully saved some of your income for an emergency. Fantastic. You’re maxing out your employer’s match to your 401(k). Be proud. Your friends no longer invite you out to dinner because you always insist on splitting an entrée. Uh, it might be time to rethink your priorities. Once you cross the line from frugal to ultra-cheap, your habits may cost you more than friendships. In your pursuit to save money, you could actually pay a price. Here are seven signs you’ve left frugal finances behind and are entering extreme tightwad territory. We’re not talking about saying “no” to a destination wedding for your second cousin twice removed. We’re talking about skipping a co-worker’s wedding because you can’t bring yourself to buy a $5 card and slip a $20 bill inside. Or maybe your daughter has her heart set on an Italian restaurant for her birthday dinner, but you insist on Mexican because you’ve got a coupon. If you turn down events and use money as an excuse, it may be time to check yourself. Saving money is nice, but personal relationships are more valuable than an extra $20 in an already plump bank account. If you find yourself telling friends how you would never spend so much on something they just bought, that’s a red flag. The same goes for comments couched as advice on how your friends could save money. Being a super saver isn’t a problem until you think it gives you license to judge other people’s spending habits and priorities. There’s nothing wrong with trying to cut costs on everyday purchases, but where’s the savings when you drive 20 minutes for gas that’s 10 cents a gallon cheaper? Although shopping at five different stores may get you the best deals, is the money saved worth losing a day of your life each week? How many hours do you devote to saving money? Do you wake up and hit the Facebook sale sites before clipping coupons and reworking your budget every morning? There’s no reason to feel bad about shopping for bargains and staying on top of your finances. However, when saving money becomes an obsession, it’s time to step back. Be money-smart, but don’t let dollars dictate your life. It doesn’t hurt anyone if you “borrow” the neighbor’s Wi-Fi, right? Doing things that are dishonest or unethical to save money doesn’t make those things any less dishonest or unethical. In other words, if you can’t afford the tip, don’t go out to dinner. Cheap jeans aren’t a bargain if the seams come undone by the third wash. The same can be said for cheap toys, cheap sheets, cheap appliances and more. You don’t come out ahead if you have to regularly replace or repair items. Buying better quality goods saves money in the long run. 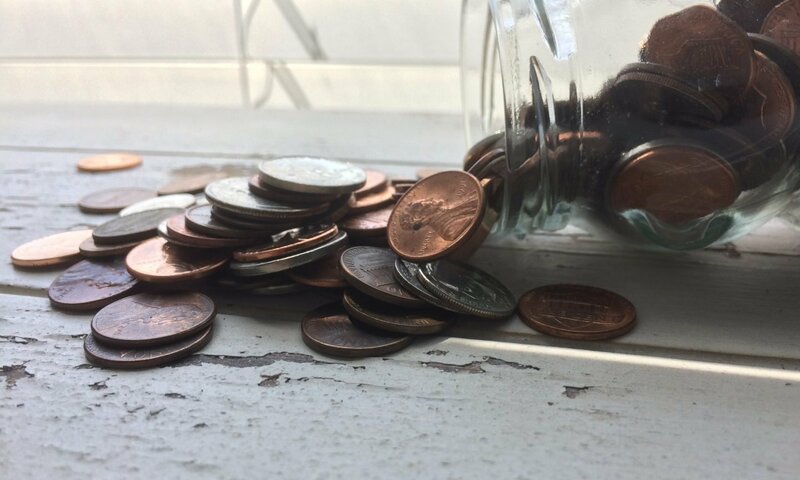 Here’s the most insidious part about saving money: It can actually make you spend more. Retailers know this, and that’s why they send out emails offering free shipping or a percentage off your purchase if you buy a certain amount. Then, you end up spending $100 when you planned for $75. If your budget doesn’t add up, that “savings” could be to blame. For many people, saving money is a thrill and something of a game. However, taken too far, cutting costs could have a negative impact on your relationships and your bottom line. NerdWallet makes managing your money easy with a single view of your finances. Sign up for free.